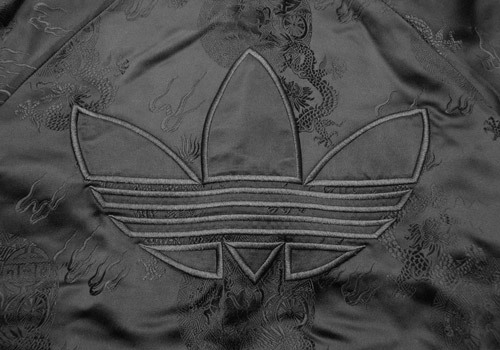 Combining elegance and class with sports wear isn’t easy, yet adidas manages to do just this with their Materials of the World series. 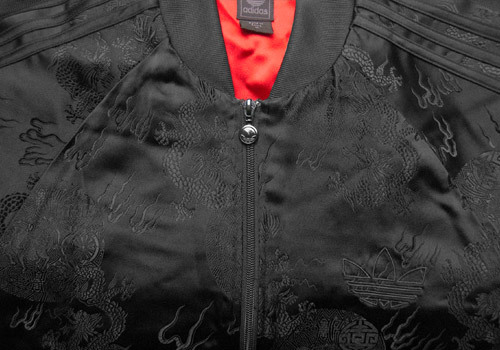 Inspired by Chinese culture, the China TT is given a healthy dose of finesse and style that is hard to ignore. 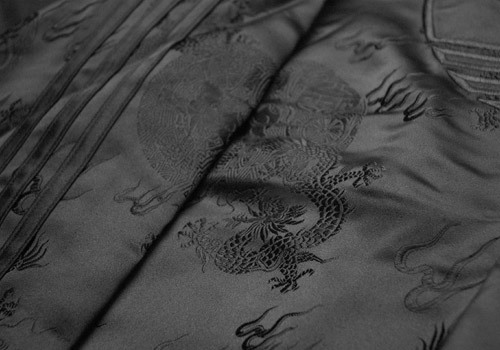 The silky black exterior is patterned with subtle dragon figures and other Chinese design elements, lightly embroidered into the polyester and rayon shell. 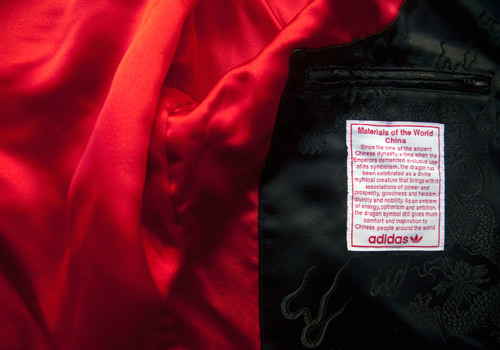 The typical mark of a adidas track top – a small trefoil logo on the left breast – is present, and echoed intensely by the large, thick black trefoil embroidered on the back of the jacket. 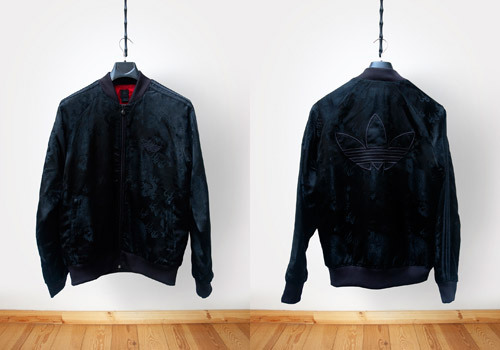 can i buy this jacket ?? Where can i buy this jacket ? As Dudsier has said you’ll have to search for it second-hand, either online or in-person at used clothing stores. We’ve let Hossein know that we do not officially sell anything but you are more than welcome to send us your size requirements and price offer and we can certainly pass this onto the collector who owns the piece. Damn i’ll buy it from you. How can I contact you?